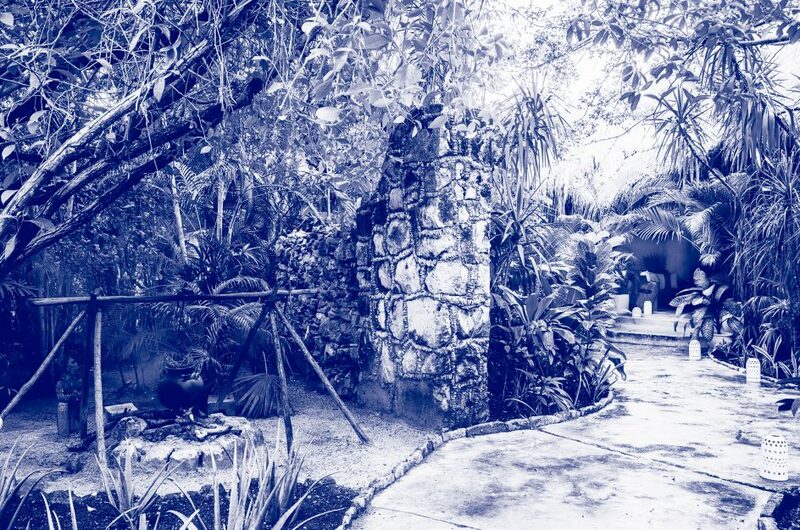 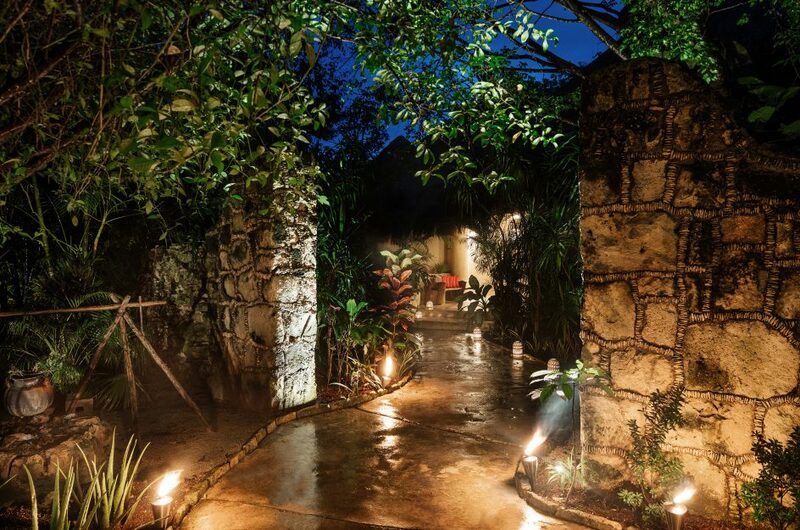 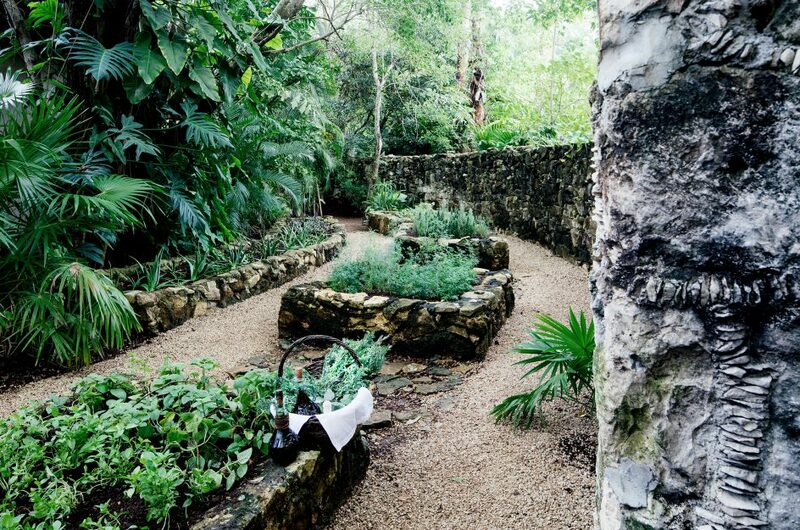 At the east end of the gardens is Hotel Esencia’s health club overlooking the estate’s cenote. 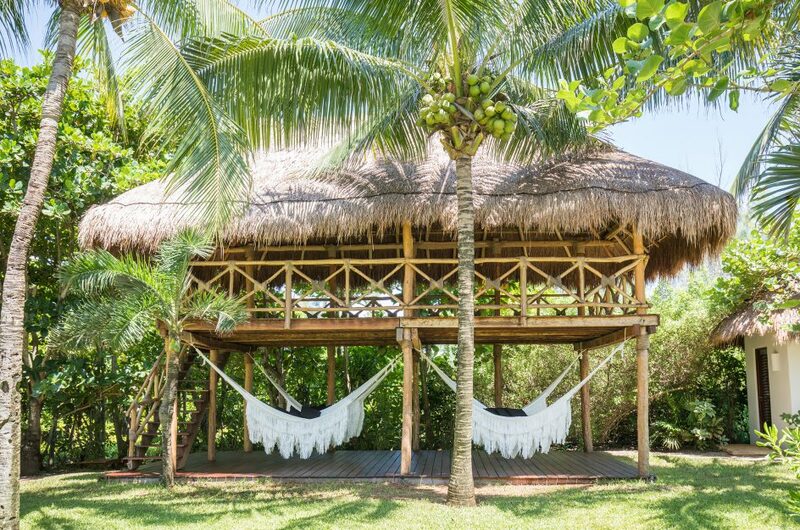 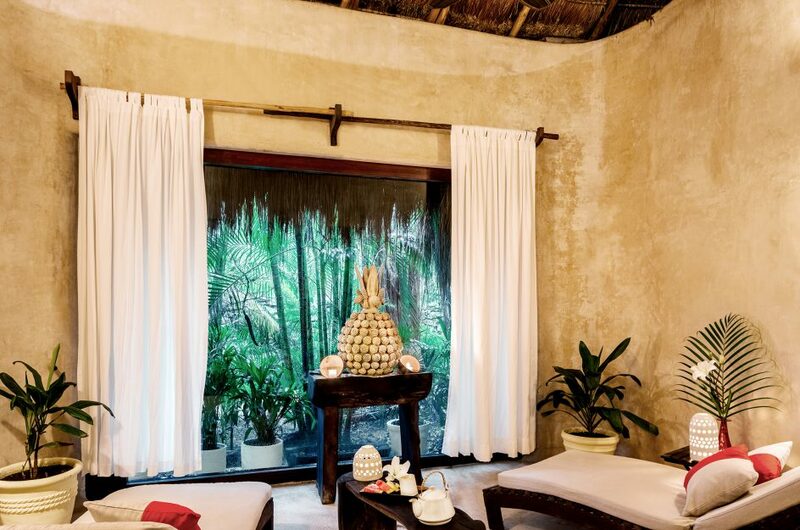 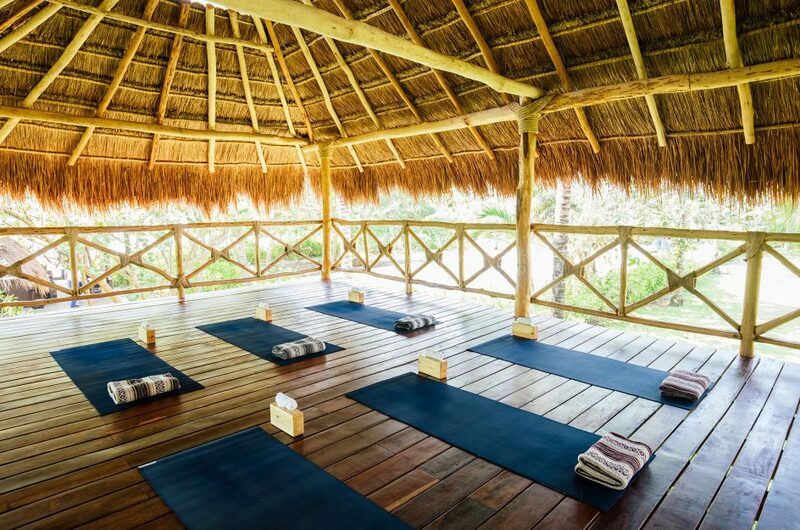 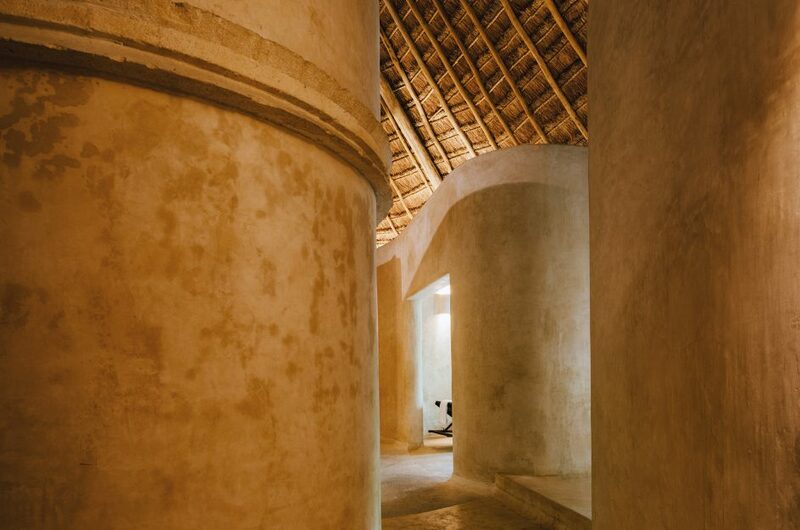 Housed under traditional palapa thatched roofs, Esencia Spa and the fitness room integrate hallmarks of modern wellbeing with ancient customs of cultivating beauty, balance, and peace. 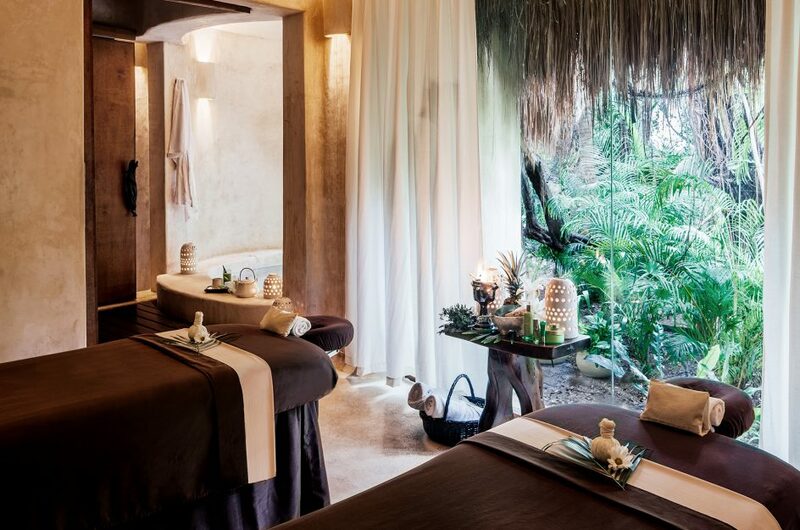 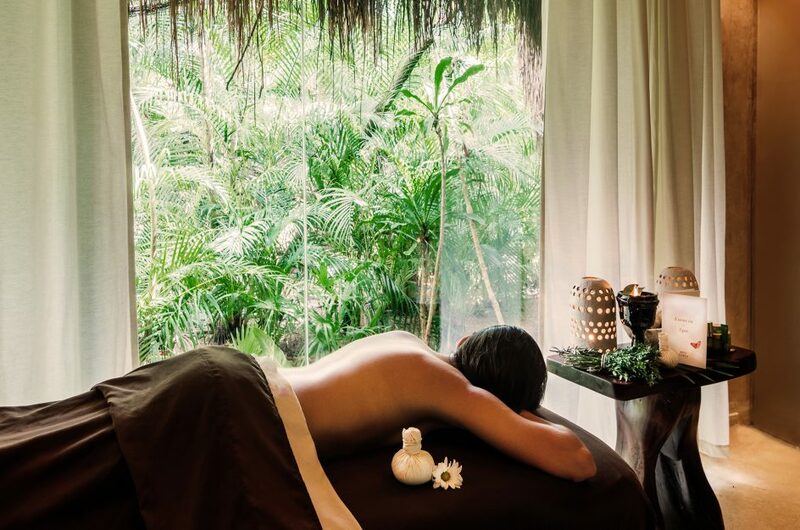 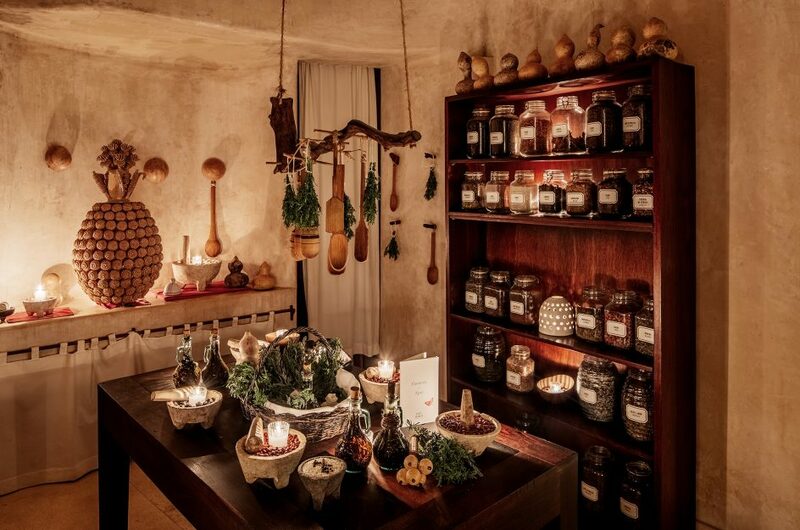 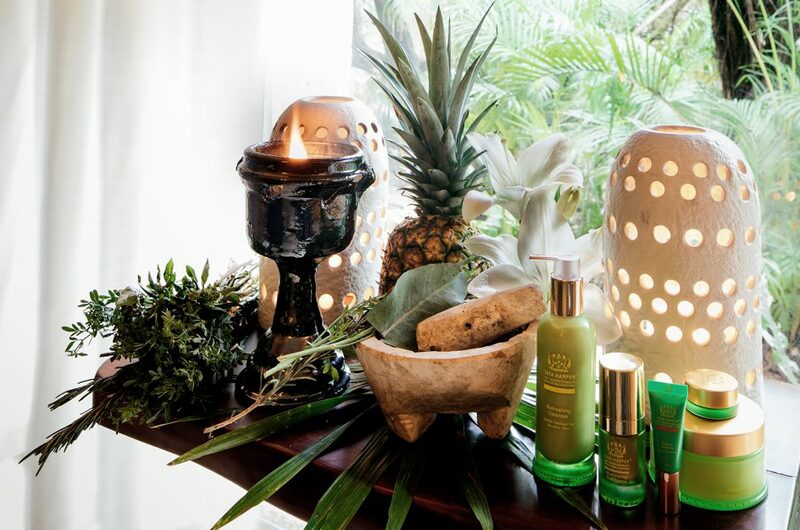 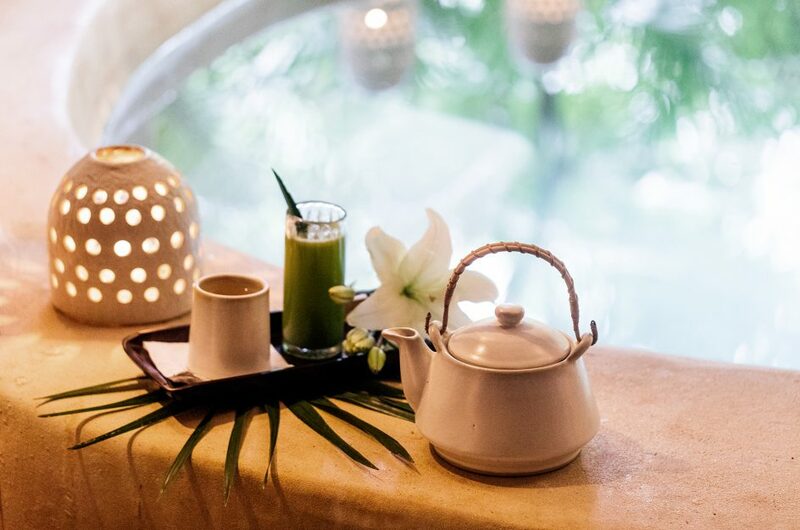 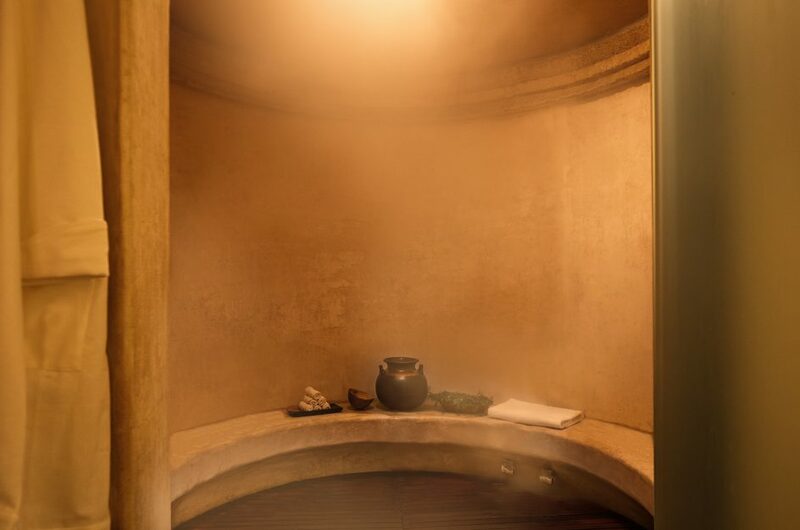 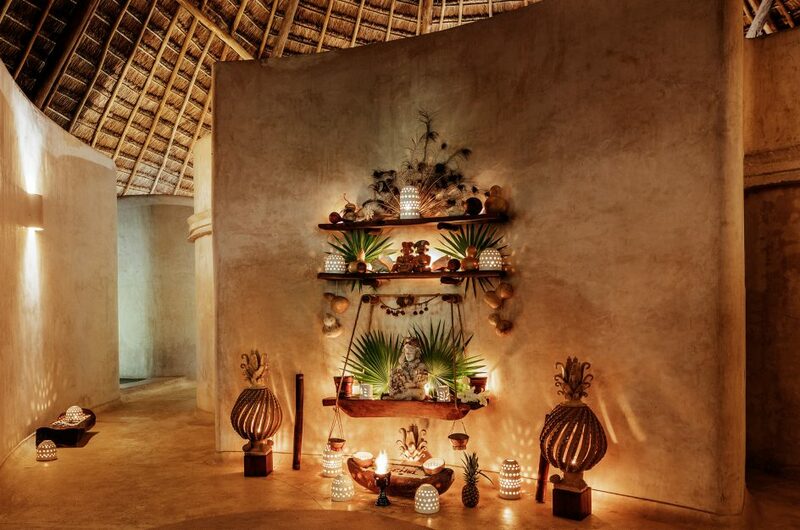 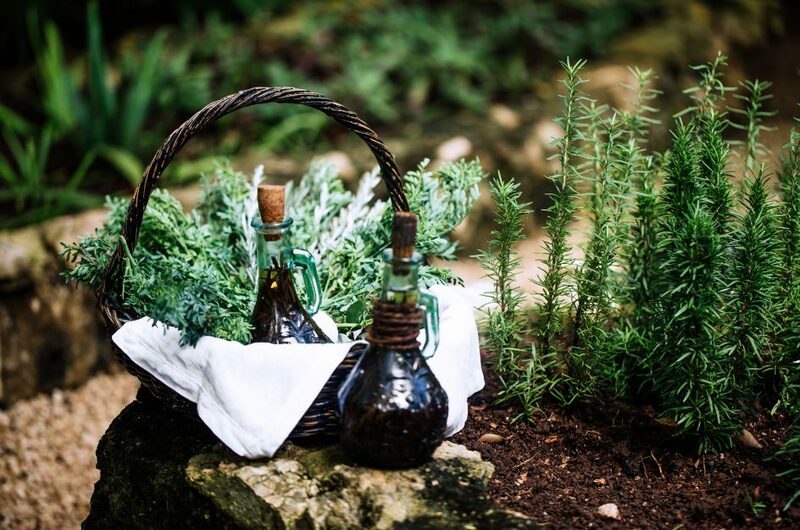 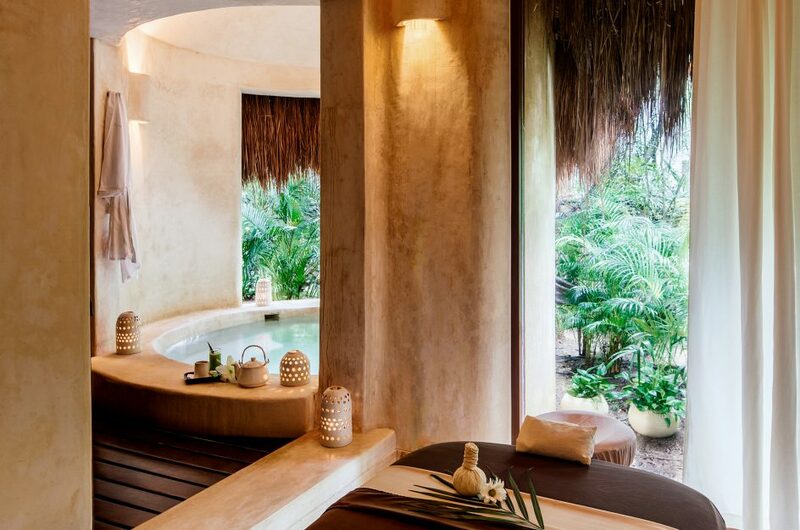 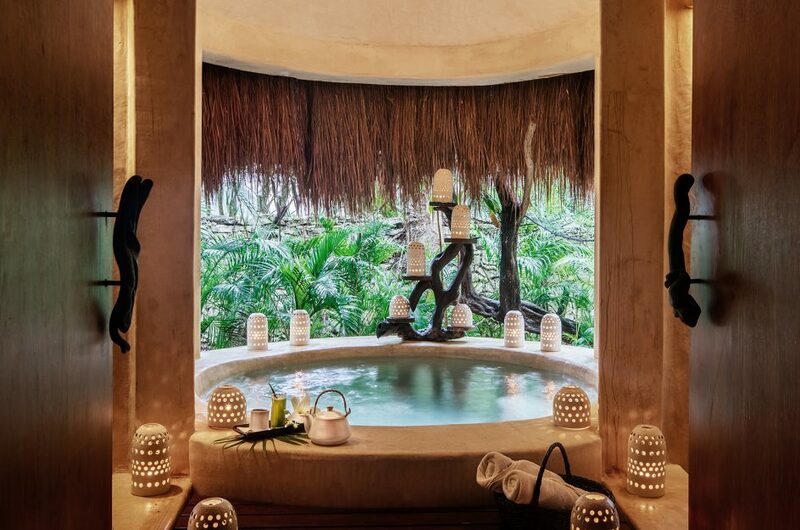 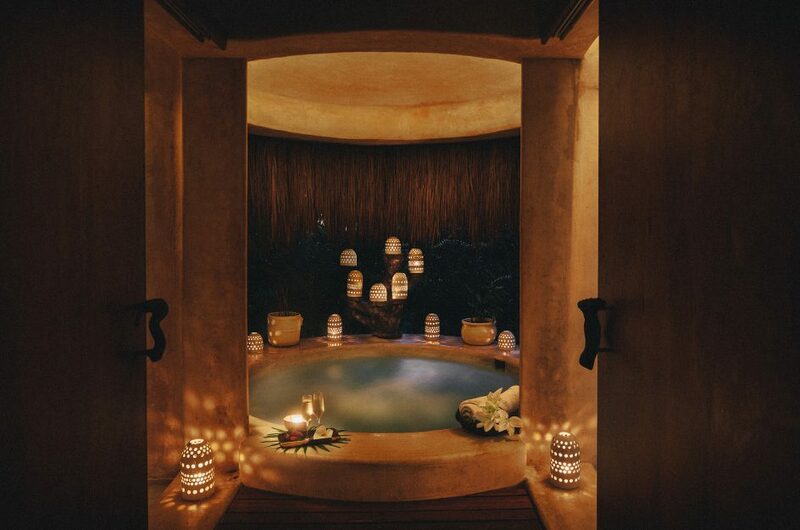 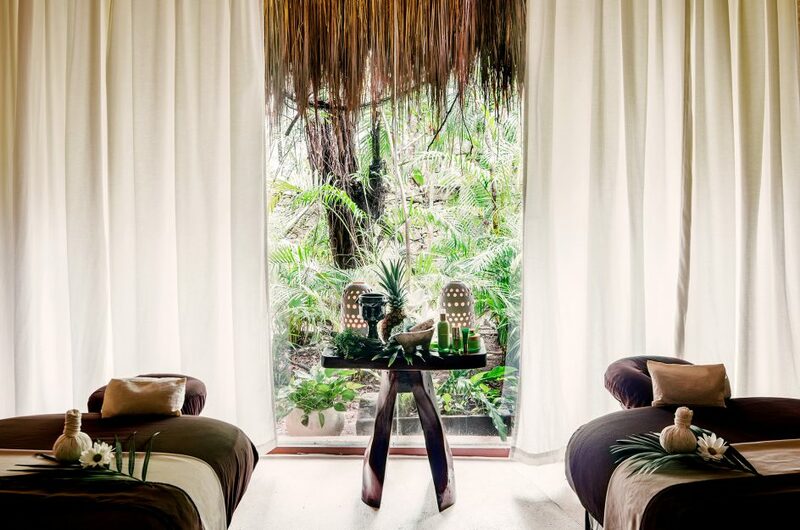 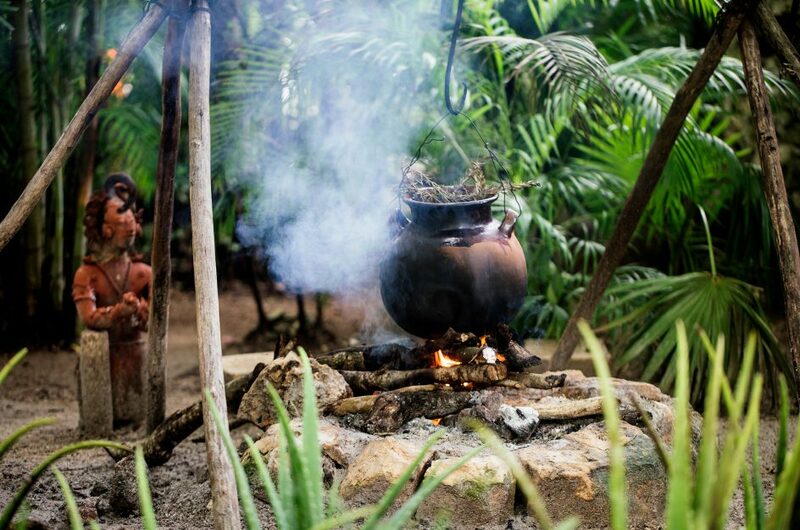 The spa journey begins with a traditional Mayan kitchen laboratory where therapists tailor bespoke, restorative programs, using the purest ingredients harvested from the waters of the Caribbean and soil from the Mayan jungle. 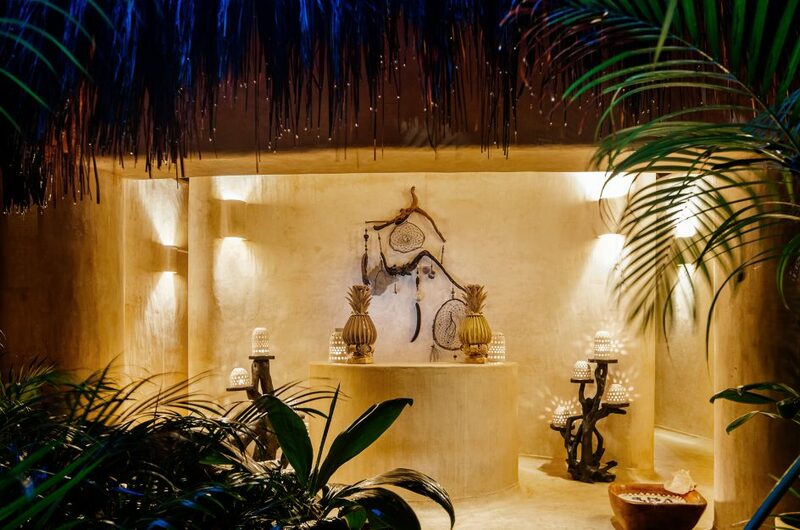 Guests leave Hotel Esencia cleansed and whole. 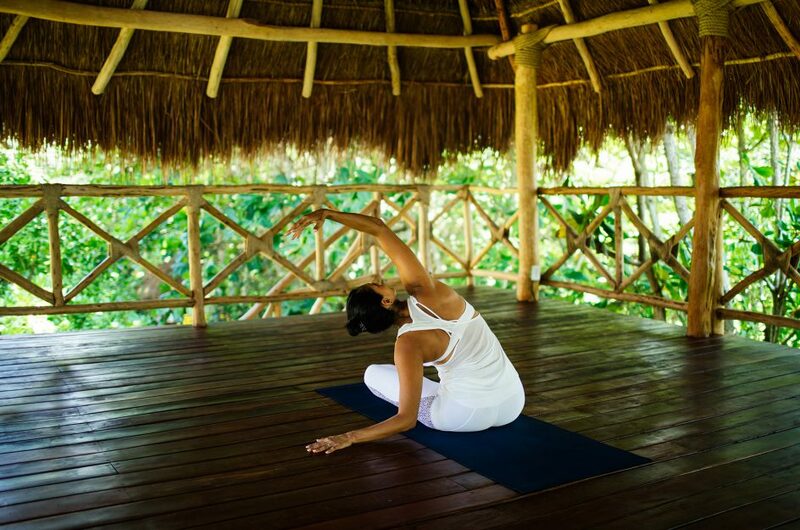 It is a matchless experience of health that opens a new chapter to a life of sound mind and body. 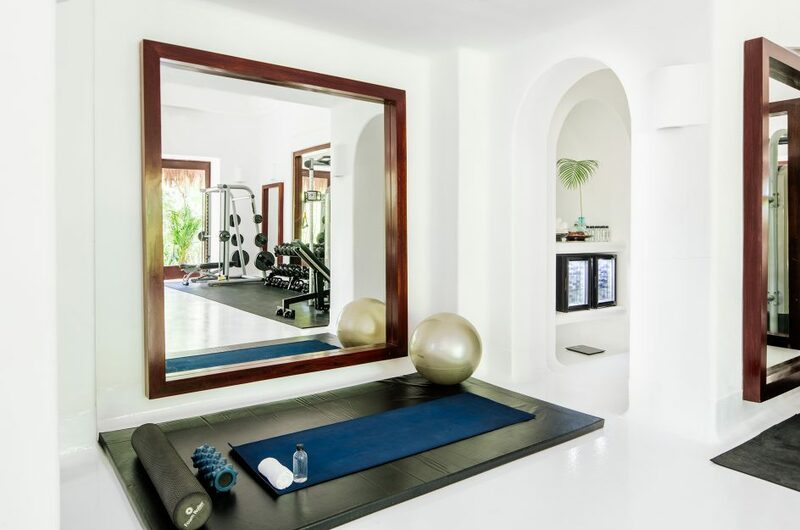 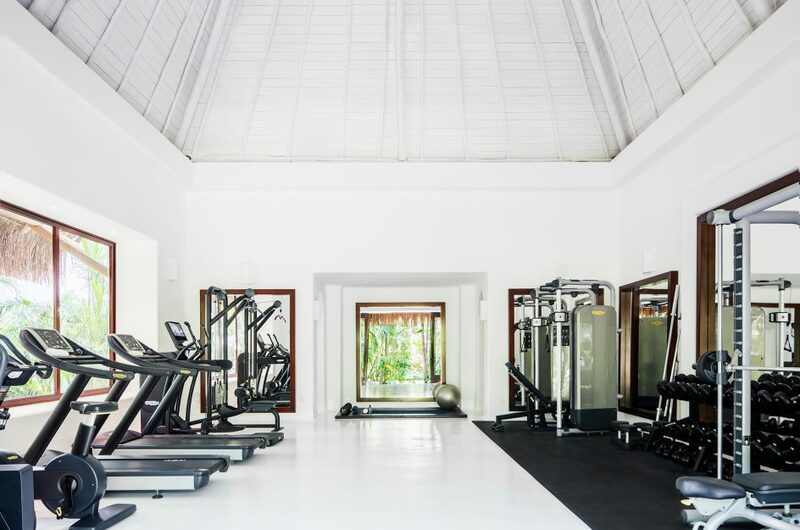 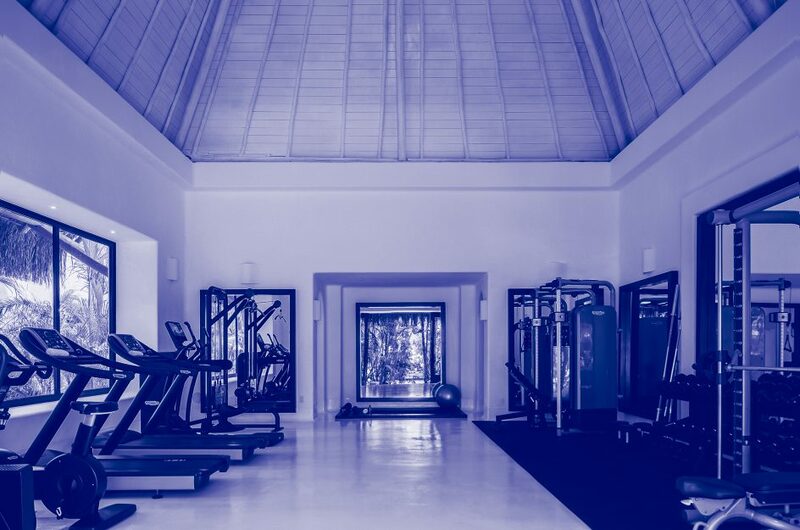 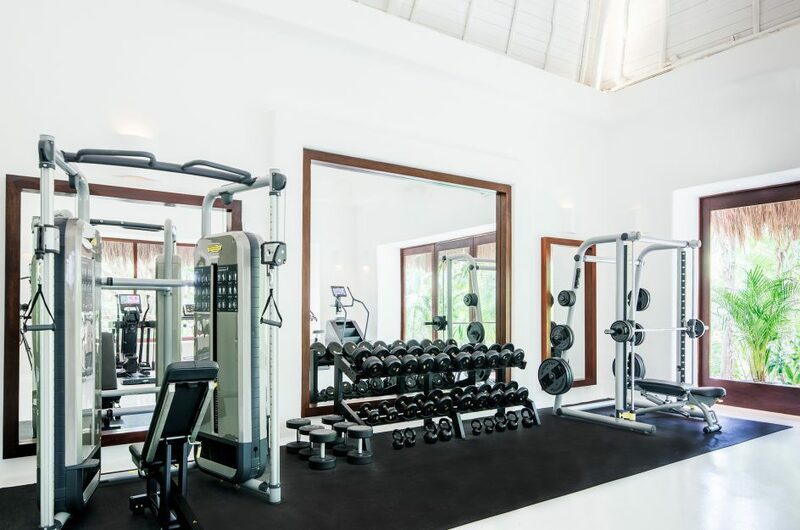 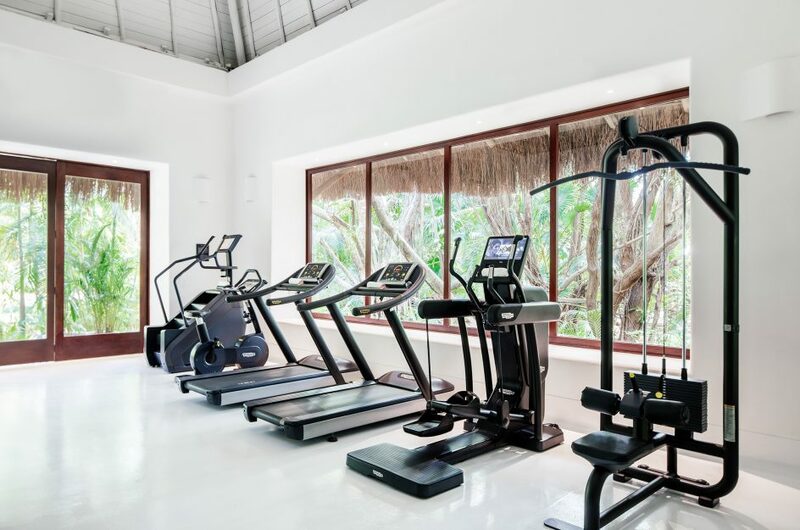 The climate controlled fitness room features Technogym cardio machines, a Pilates reformer available upon request, weights machines, free weights and personal instruction in various body arts, all under a soaring thatched ceiling.